Poetess, storyteller and theoretician Alja Adam graduated in Comparative Literature and Sociology of Culture at the Faculty of Arts in Ljubljana. In 2007, she received her PhD in gender studies and feminist literary theory from the same institution. With her lyricism in the recent decades, she has left a singular mark across a variety of cultural-artistic and literary fields. Her poems were translated into thirteen languages, appearing in various domestic and foreign publications and anthologies. 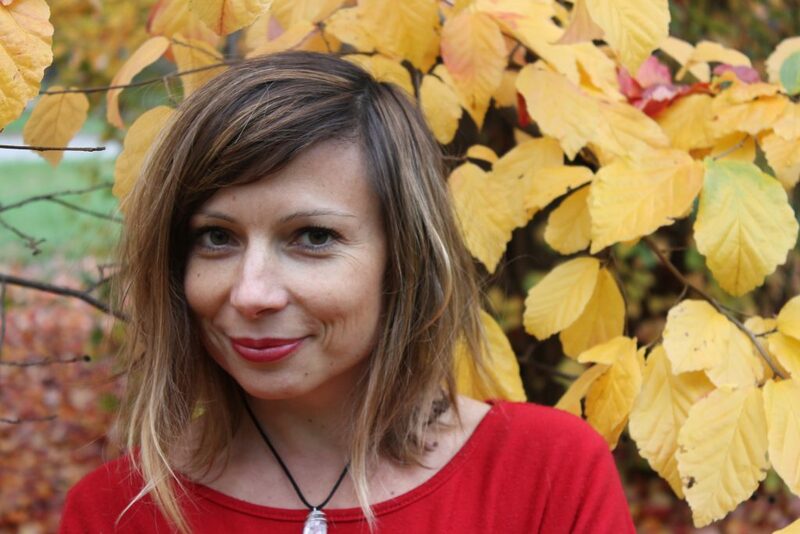 At the Centre for Slovenian Literature (Aleph), she published three poetry collections: Zaobljenost (Roundedness, 2003), Zakaj bi omenjala Ahila (Why Mention Achilles, 2009) and Dolgo smo čakali na dež (We’ve Long Been Waiting on Rain, 2015). Following an Italian translation in 2009, the Spanish translation of Why Mention Achilles was published by the house E.d.a. Libros in 2011; with the Croatian translation issued by the publisher Druga Priča in 2014. Alja Adam received two international young poets’ awards. Her third collection was nominated for the Veronika Poetry Prize. Since 2014, Alja Adam has been an independent cultural worker, creative writing mentor and fairy tale author. She lectures at the University of Nova Gorica (School of Humanities), teaching Introduction to World Literature and Gender and Literature classes. In 2013, she and poetess Maja Vidmar established the creative writing program Ghita Yoga incorporating writing, Gestalt therapy and yoga practice.